Twenty Three teams of high school students from Minnesota, Iowa and Wisconsin competed on March 3rd to design the most elaborate and hilarious (but also functional) ways to open an umbrella at the annual Rube Goldberg Machine Contest at Minnesota State University, Mankato. The regional event lets high school students display their creativity, humor and ingenuity while learning about engineering. The teams participating compete for a regional title and to qualify for the Rube Goldberg Machine Contest on Saturday, April 23 at the Waukesha Country Technical College in Pewaukee, Wis., where teams will compete to become the Rube Goldberg Machine Contest Division II champion. Designed to encourage teamwork and out-of-the-box problem solving for students of all ages, the STEM- (science, technology, engineering and math) and STEAM- (science, technology, engineering, art and math) friendly Rube Goldberg Machine Contest, according to its website, tackles the most mundane tasks and asks participants to create their own overly elaborate and hilariously conceived wacky contraptions that accomplish that task in honor of the competition’s founding father. The first National Rube Goldberg Machine Contest was launched in 1988. Rube Goldberg (1883-1970) was an engineer, sculptor, author and Pulitzer Prize-winning cartoonist who depicted overly complex machines performing simple tasks. The machines that he drew often were impossible to build and operate, but were entertaining because they defied implementation. To view the KEYC TV news story on the competition: H.S. Students Compete for Most Unique Way to Open Umbrellas Without Hands. Workshops to cover current state-of-the-art and future potential of Additive Manufacturing. 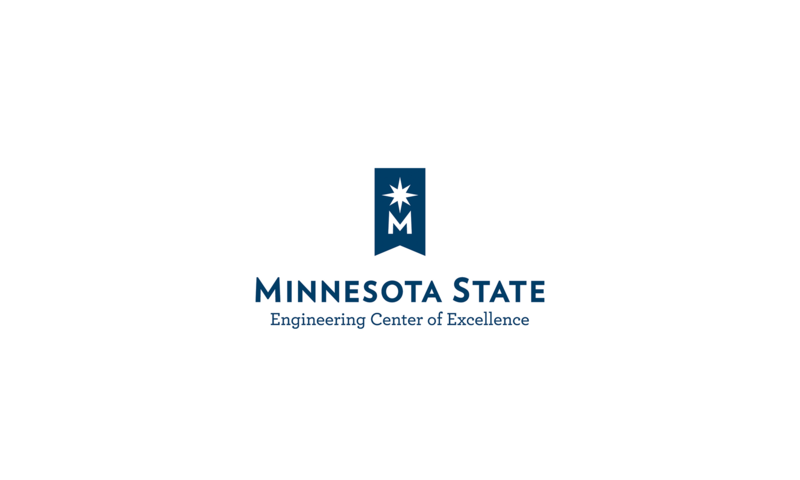 MNCEME and Minnesota State Mankato are offering two Additive Manufacturing Workshops this summer. These workshops are being developed by MSU faculty members, Dr. Kuldeep Agarwal and Dr. Winston Sealy, and are designed to educate industry and high school teachers about the various aspects of additive manufacturing. The workshops will cover the current state-of-the-art and future potential of additive manufacturing and demonstrate a wide array of additive manufacturing technologies. Both workshops are being held in Trafton Science Center at Minnesota State University, Mankato. What is Additive Manufacturing? Commonly referred to as 3D Printing, additive manufacturing is a methodology to fabricate 3D structural and functional parts, layer by layer, from metallic, plastic, ceramic, electronic, biological, and composite materials based on computer-aided design (CAD). Additive Manufacturing Industry Workshop – http://cset.mnsu.edu/mnceme/industryam.html. Additive Manufacturing Educator Workshop – http://cset.mnsu.edu/mnceme/educatoram.html. For all inquiries, please contact us at 507-389-1201 or mnceme@mnsu.edu. Mankato, Minn. – Instititutional Diversity and the College of Science, Engineering and Technology at Minnesota State University, Mankato will host 225 students from seven Twin Cities-area high schools during an “African American Engineering Academic Day” visit day from 9 a.m. to 2 p.m. on Tuesday, Oct. 13 in the Centennial Student Union Ballroom. This event will provide students with an opportunity to meet African-American professionals in the field of engineering and help to familiarize them with a higher education institution like Minnesota State Mankato. The African American Engineering Academic Day visit will include a college preparation session, keynote speaker, a tour and speakers who will highlight the engineering profession. The main mission of African American Engineering Academic Day is to encourage and motivate African-American youth to pursue educational opportunities in the area of engineering and to increase their access to higher education. The students will arrive and check in from 9-10 a.m., and after a 10 a.m. welcome, the keynote address will be delivered by Farche Thomas Wilcox from 3M from 10:15 a.m. to 10:30 a.m.
From 10:30 a.m. 12:30 p.m., the students will have an opportunity to view demonstrations and partake in a resource fair. There will be a lunch and industry panel discussion from 12:30 p.m. to 1 p.m. and campus tours from 1-2 p.m. The panel discussion will feature Wilcox, Minnesota State Mankato faculty member Winston Sealy and two members of the local National Society of Black Engineers student chapter. Minnesota State Mankato sponsors of African American Engineering and Academic Day visit include the Minnesota Center for Engineering and Manufacturing Excellence, the College of Science, Engineering and Technology, Institutional Diversity and Opportunity Access Success Intercultural Services. For more information on the African American Engineering and Academic Day visit, contact Shayla Braunshausen, director of diversity initiatives for Institutional Diversity at Minnesota State Mankato, by phone at 507-389-6126 or by email at shayla.braunshausen@mnsu.edu.